Wee Gems Designs: We Have Puppies!!! What a crazy, wonderful experience this has been! Roxy went into labor on Friday night, so Chris and I took turns staying up with her as she didn't want to leave our sides. 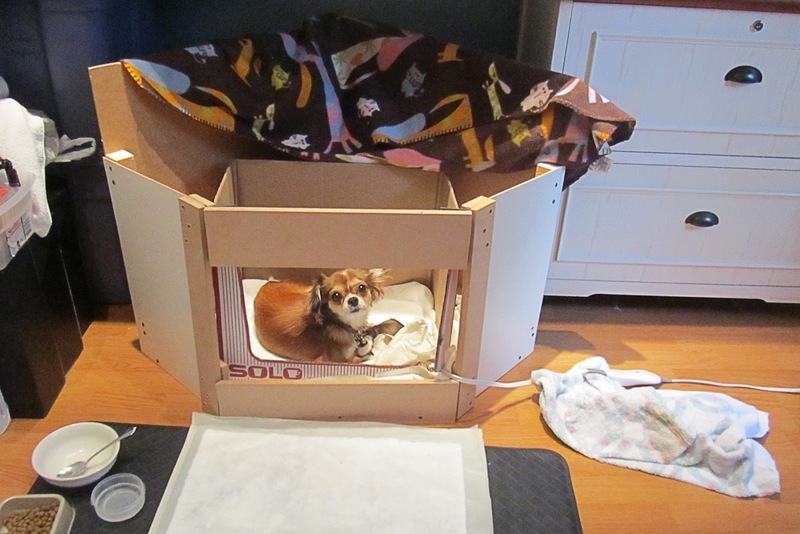 We tried to get her into the whelping box that we had set up in my office, but she wanted to be in the front room. So, we grabbed everything and brought it out there for her. 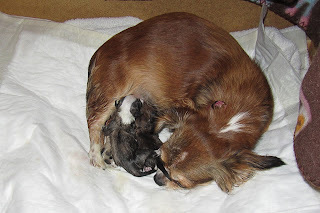 At 6:51 AM, her first pup was born, We helped her with the first 2 pups as they were both breech. Her last pup came at 9:57 AM. 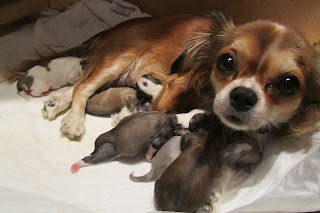 She had 4 boys, and 2 girls. Daylyn and Allison were in awe of the experience and were wonderful helpers by recording the pups stats for us. :) So without further ado...here are her pups. 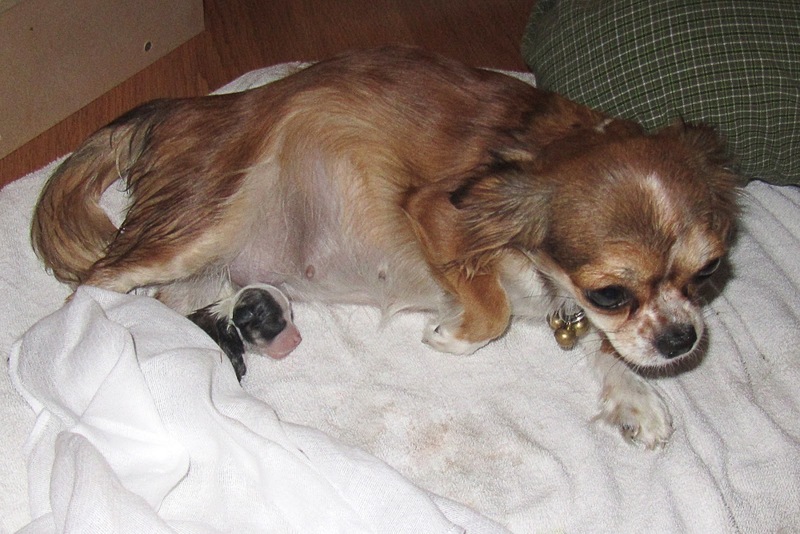 Here she is with her first pup, a boy! Puppy 2 is a boy as well. This is her and the pups home for the next few weeks. Our incredible Roxy with her sweet little pups. Oh my goodness, she is such a cutie and her pups are just tiny little things! What a neat experience! What a very cool experience for your kids! Glad Roxy and babies are doing well. Glad it all went well, what a bunch of cuties! Bead Soup Blog Party Giveaway Winner!! !